Around 620m of this walk has gentle hills with occasional steps, whilst the remaining 25m is flat with no steps. 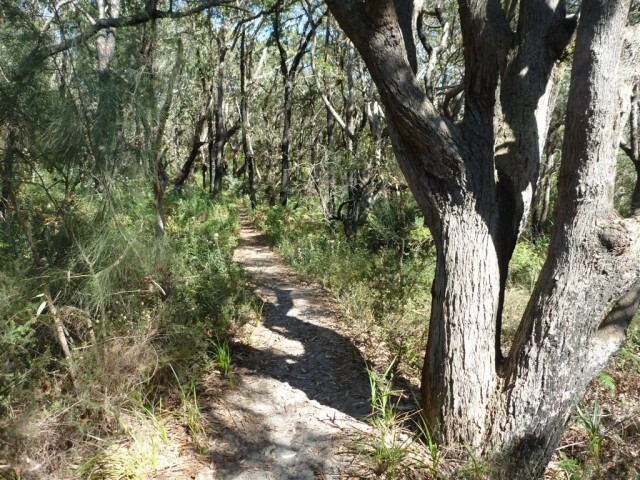 Around 400m of this walk follows a clear and well formed track or trail, whilst the remaining 240m follows a formed track, with some branches and other obstacles. Around 370m of this walk has directional signs at most intersection, whilst the remaining 270m is clearly signposted. 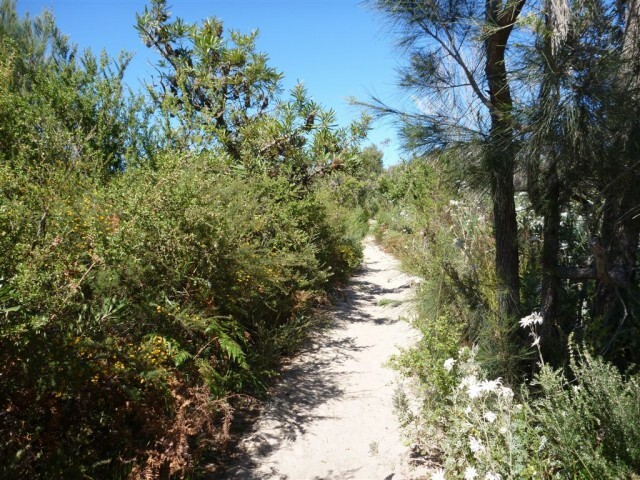 This whole walk, 650m requires no previous bushwalking experience. This whole walk, 650m is not usually affected by severe weather events (that would unexpectedly impact safety and navigation). 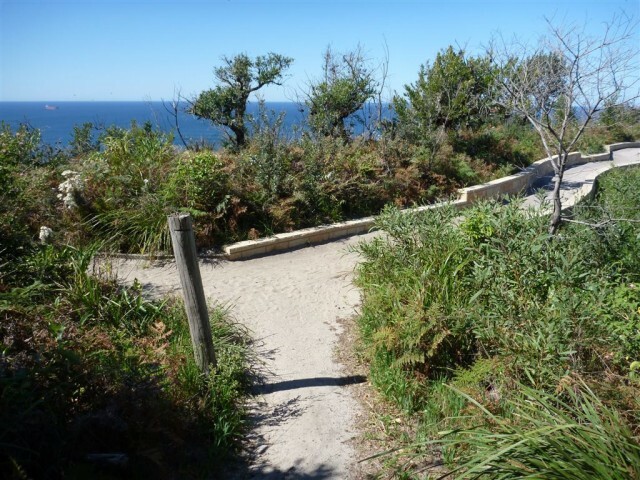 Around 370m of this walk has limited facilities (such as not all cliffs fenced), whilst the remaining 270m is close to useful facilities (such as fenced cliffs and seats). You can phone 131500 (the transport info line) for up to date running times. Use these links to plan your Bus (and train) trip to the end of this walk. 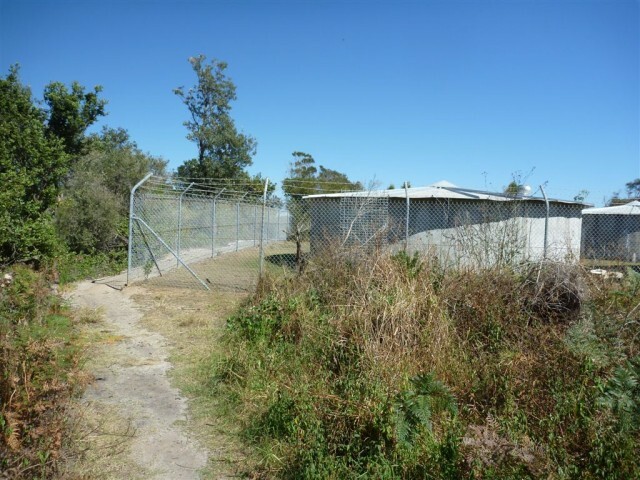 From the end of Stephenson Rd, Bateau Bay, this walk passes around the gate and follows the management trail up the hill. The trail passes a house and then several large water tanks, to the left, before narrowing and going a short distance further to an intersection with a sandy track. 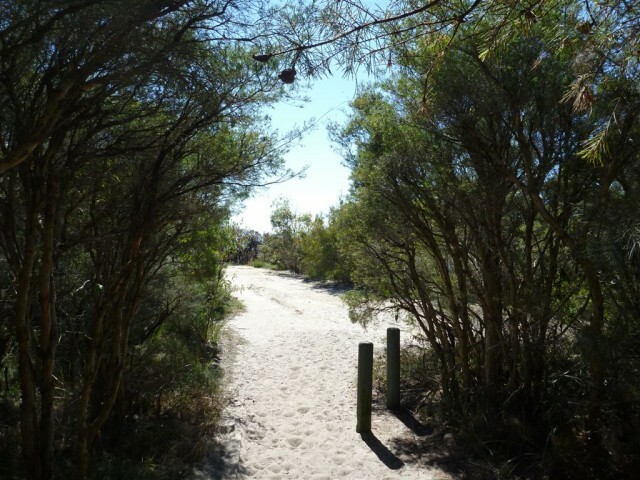 Turn left: From the intersection, this walk follows the sandy bush track north, keeping the ocean to the right. 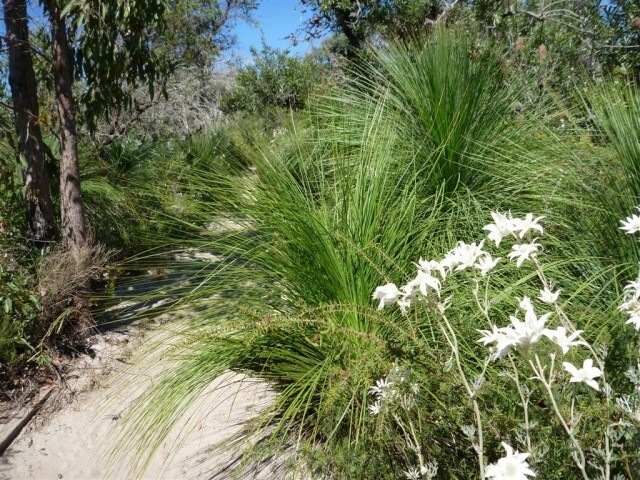 The track passes through lovely bush with plenty of grass trees for a short distance before reaching an intersection with another sandy bush track, to the left, marked with several wooden posts and a signpost (indicating walkers are permitted but no dogs or motorbikes). 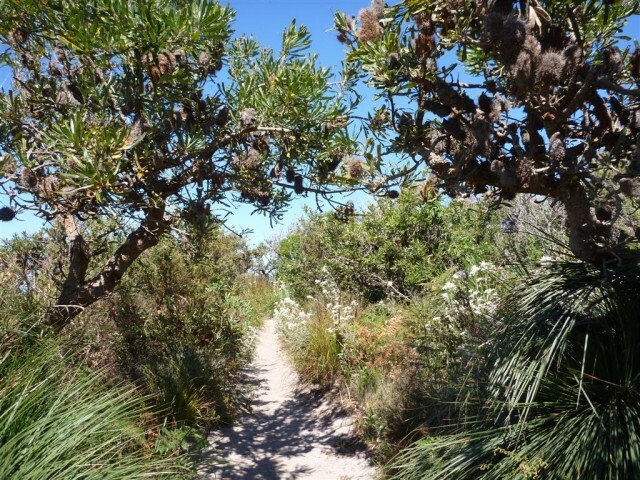 Continue straight: From the intersection, this walk follows the sandy bush track north, leaving the signpost behind on the left. After a very short distance, the walk arrives at a junction with the end of a sandy management trail, marked with some timber posts. Veer left: From the junction at the end of the management trail, this walk follows the management trail north. 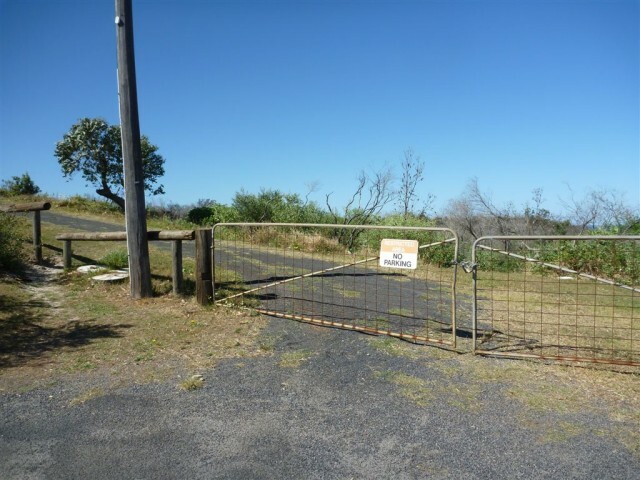 Ignoring numerous side tracks (some of which lead to clifftop viewpoints), the walk continues along the trail for a while before passing a National Park information board, to the right, then passing around a gate and arriving at Crackneck Lookout. 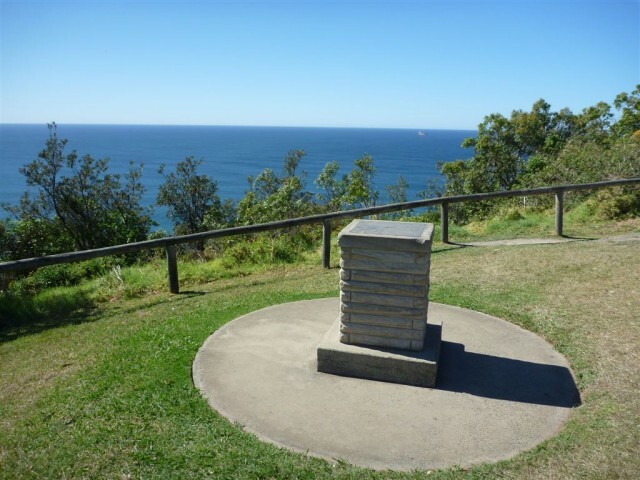 This lookout, at the end of Hilltop St, Bateau Bay, has stunning views up and down the coastline, and out to sea. There are picnic tables and an information board about marine mammals. There is a hangliding launch spot beside the lookout. Use these links to plan your Bus (and train) trip from the end of this walk. A list of the nearest UHF CB repeaters I found to Stephenson Rd to Crackneck Lookout. 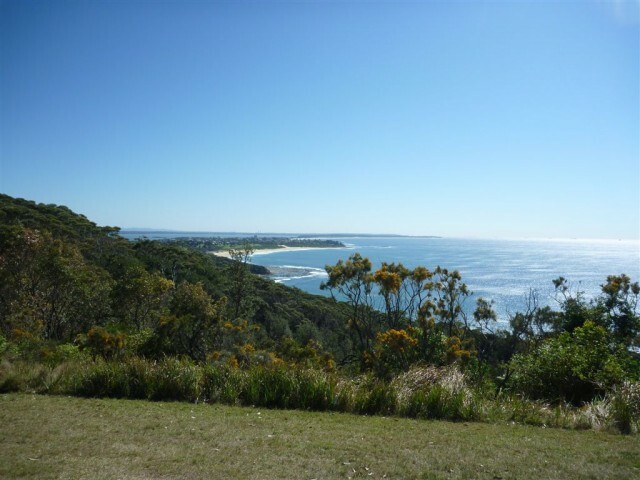 Wyrrabalong National park on the NSW Central Coast is divided into two main sections. The northern section sits between the South Pacific Ocean and Tuggerah Lake (with the Central Coast Hwy cutting up the middle) south of Norah Head. 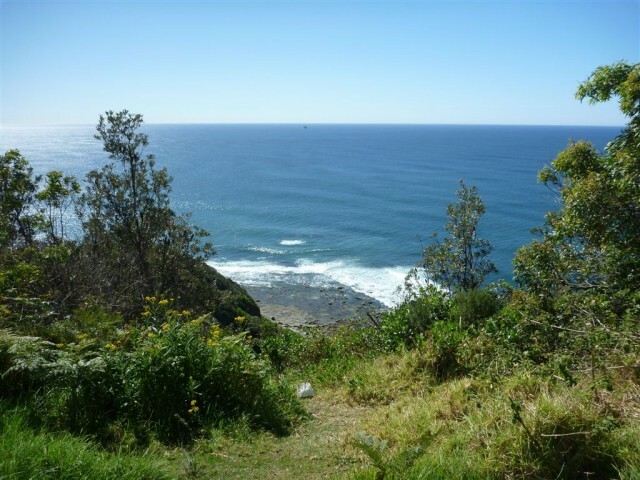 The south section covers a coastal strip from Forresters Beach to Bateau Bay. 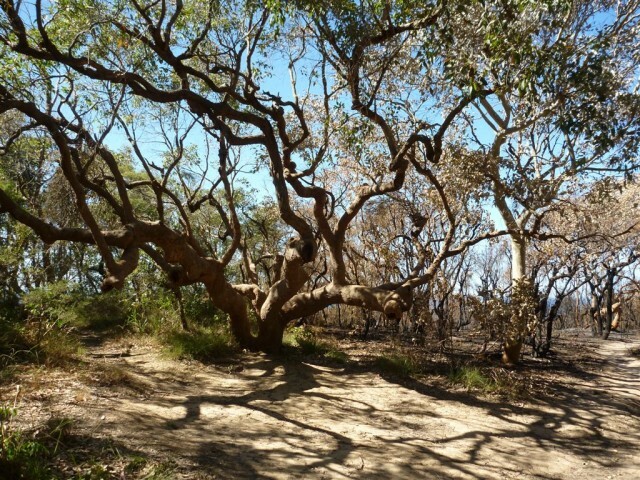 The park is rich with great views, sandy beaches and the last significant coastal rainforest in the area. A great place for walking, swimming, fishing and relaxing.